All DSAO staff are exceptionally qualified individuals that meet the needs of our members. Most have been full-time students studying disciplines such as science, nursing, business, early childhood education, occupational therapy and others. Their common link is their passion for the sport of sailing and their desire to share sailing with everyone. 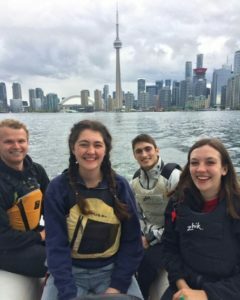 Currently, DSAO – Toronto is looking for individuals who want a unique and rewarding opportunity to join an organization dedicated to improving th45e lives of others through the sport of sailing.